If your set of political and moral beliefs include the thought that all people should be treated equally regardless of their sexual orientation, pick up our Equal Rights Sign. 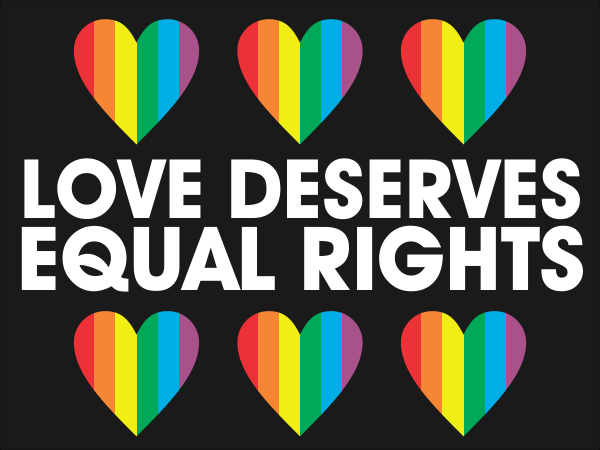 If you believe in equal rights for everyone regardless of who they love, pick up our Equal Rights Sign. Our yard signs are intended for outdoor use. Signs measure at a standard 18" x 24" and are Made in the USA. Most orders ship next business day.